Among the series I’m eagerly awaiting to find on Netflix is The CW’s Supernatural. I’ve seen most of the first season, however I have yet to find the time or the means to get caught up on the entire series. That changes this January. That’s the plan anyway. In the meantime, for those of you who already love the show (and I know there are a lot of you out there), there are some photos of stars Jared Padalecki and Jensen Ackles looking much more dressed up than you probably normally see them on the series. 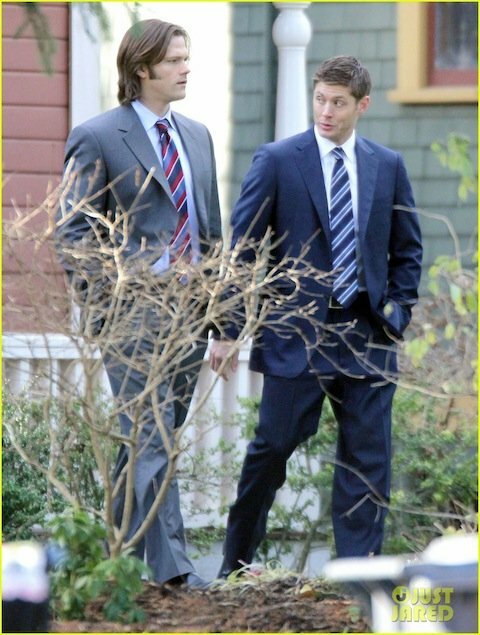 I know enough about Supernatural to know that Sam and Dean Winchester aren’t battling evil while dressed in suits. However at some point, they may be required to put on ties. 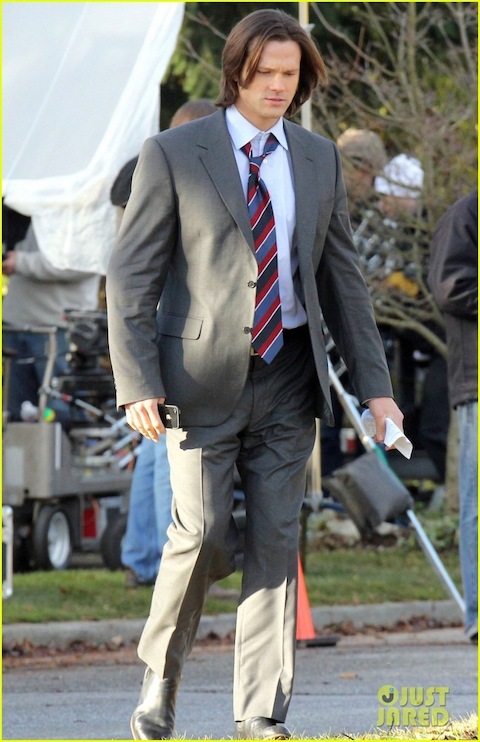 Just Jared posted the photos below, as well as a few others, from the set of Supernatural. Putting aside the possibility that the suits aren’t costumes, can anyone think of any reason why Sam and Dean would need to get dressed up? On the bright side, neither are wearing darker suits, which may rule out a funeral. If I were to guess just by looking at them, I’d say those were job interview suits. Or try-to-get-a-loan-from-the-bank suits. Or pitching-a-business-proposal-to-a-potential-investor-over-steak-dinner suits. But what do I know? Fans of the series are probably much more likely to guess correctly than I am. Check out the rest of the set photos here.